Apple announced something like this a year ago, but have yet to ship it. 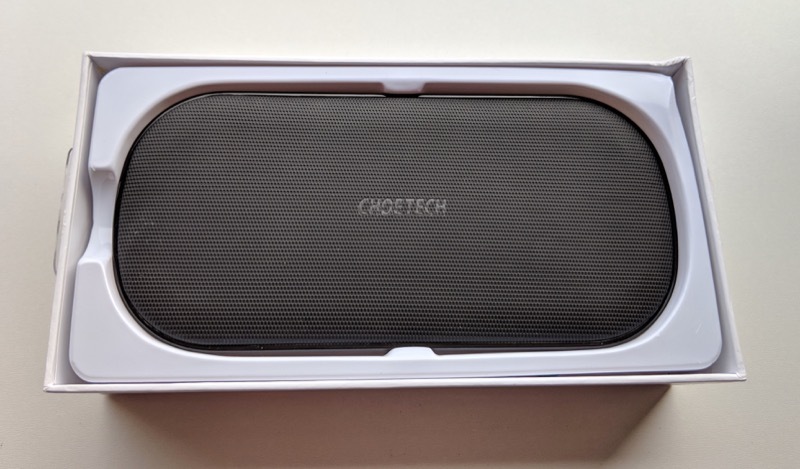 Meanwhile, Choetech has come up trumps with a 5-coil array that can handle the most casual charging positions or, side by side, can wirelessly fast charge two smartphones/gadgets at the same time, at up to 2A each (depending on the recipient's capabilities). And it works exactly as advertised, with a theoretical 20W total output. NB. 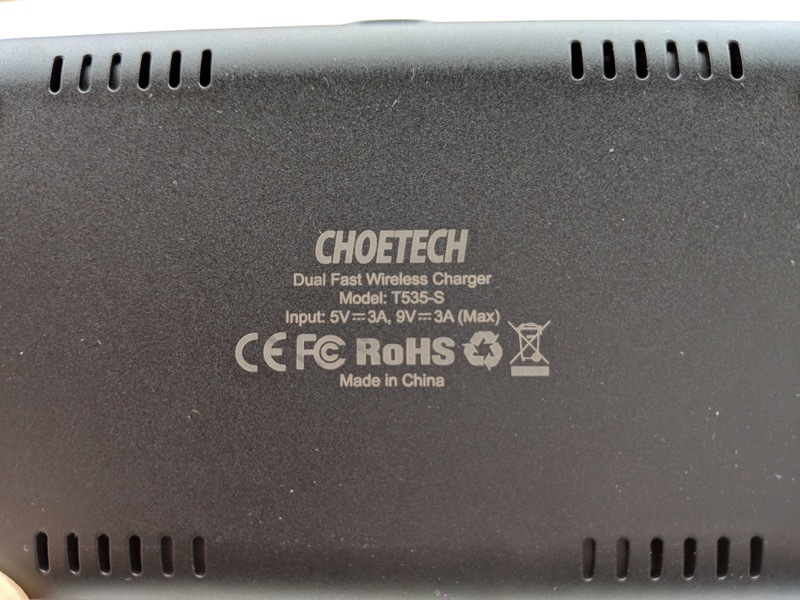 Choetech is a Chinese brand dedicated to wireless chargers, car chargers, solar chargers, wall charger, cables & hubs, etc. It's no secret that I'm a Qi fan, with David Gilson and I writing about it a full six years ago. The idea of charging a phone by simply setting it down in a particular spot is magical, yet it works. 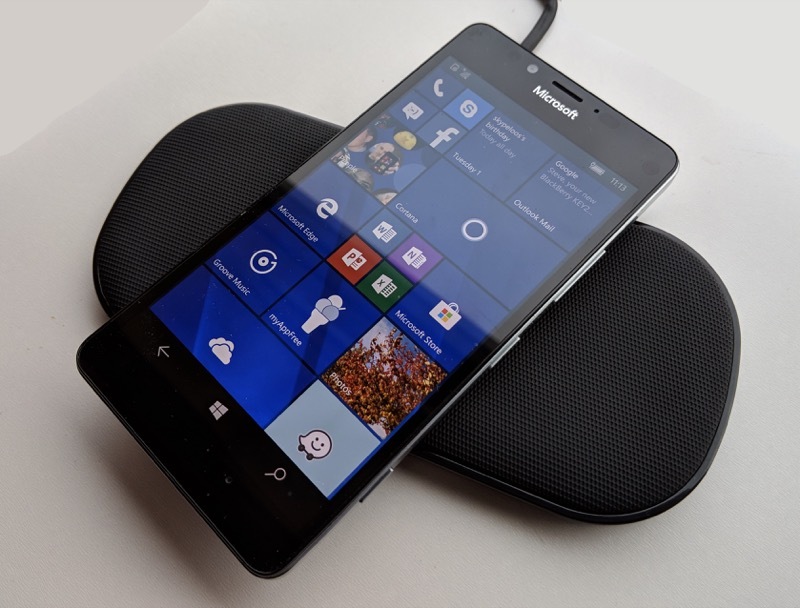 I've been Qi charging Lumias and various Android phones now for half a decade and with no ill effects. It's just so convenient. Yet, up until now, it was a one device, one pad solution. And if you only had the one Qi pad then if it was 'occupied' then the next device would have to wait - or find a wired charger cable. This Choetech solution blows this out of the window with an ultra-wide, 5-coil pad that can 'do' two phones at once. There's a rubberised mesh top surface that's beautifully grippy, with the Choetech logo underlaid. The packaging is minimalist - you get a USB-A to USB Type C power cable, but no mains adapter. This is the very first Qi pad that I've touched with has the more modern Type C as input, and it's great to see this finally making serious headway in the accessory market. As for not having a mains adapter, the issue here is that numerous variants would be needed for each country of sale. And Choetech is a fairly small company - so it's left to you, the buyer, to source a USB power adapter in your own locale. 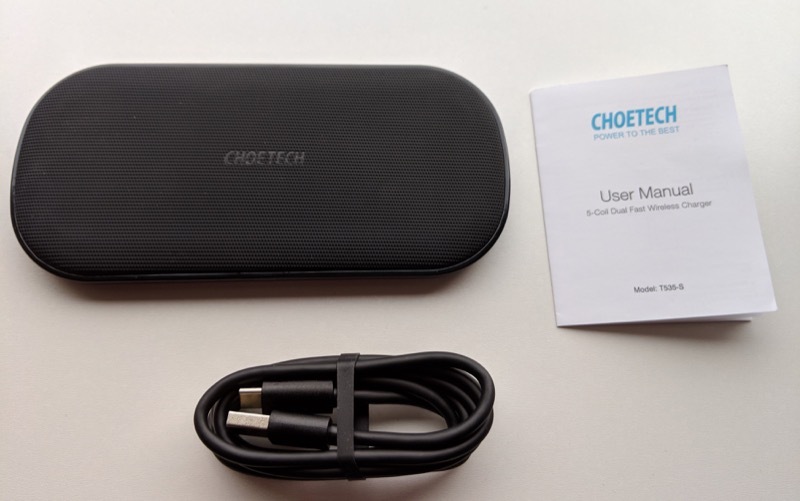 Choetech recommends something with at least 2A output and preferably Quick Charge 2.0 or 3.0 compatibility, unlocking some Qi fast charging, mainly for Apple and Samsung smartphones (1.5A and 2A respectively). In my tests, I used the Alcatel Quick Charge 3.0 mains adapter from my IDOL 4 Pro and all was well, though I don't have any Qi iPhones or compatible Samsung handsets here at the moment, so I'll have to take Choetech's word for it about the Qi 'fast' charging. Regardless, the T535-S pad here worked with all the Qi-compatible phones in the house, albeit at 1A (probably). 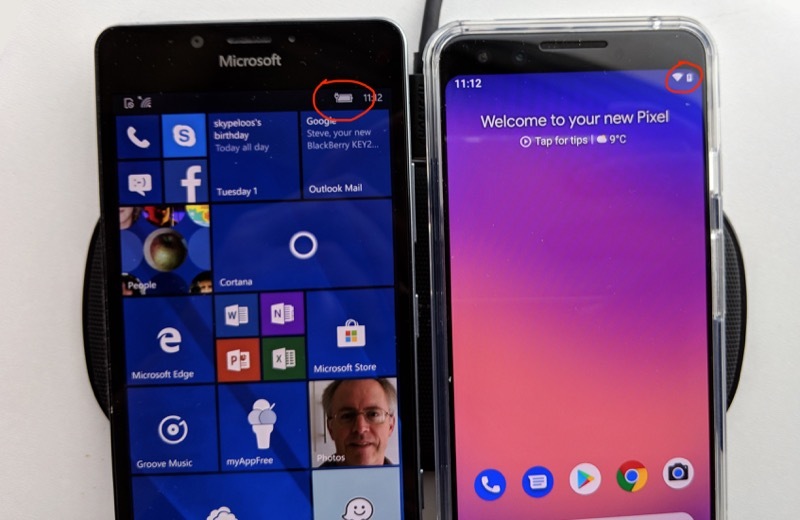 At, typically, $40, it would be cheaper to just buy two Qi pads, of course, but that misses the point of the convenience of a larger charging surface - however you place the phone it'll charge just fine. And then when you need to charge two things at once, you can, while only ever having one power lead snaking off under your desk, etc. A really nice accessory and this gets my recommendation.